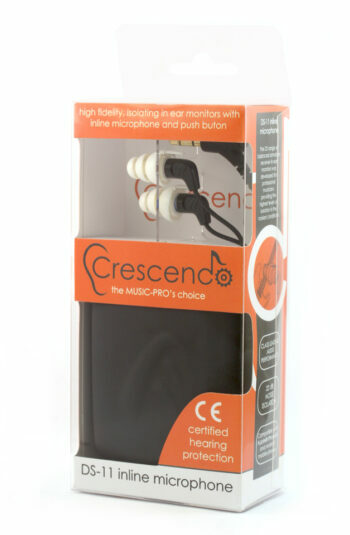 Crescendo DJ Ear Plugs are part of the Crescendo Pro Music range. 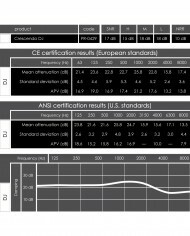 The products in this range deliver a tuned, flat attenuation response so all frequencies are reduced by almost the same level, great for music as they lose nothing of the original sound, even harmonics, making Crescendo Pro Music the best high fidelity universal hearing protection on the market. 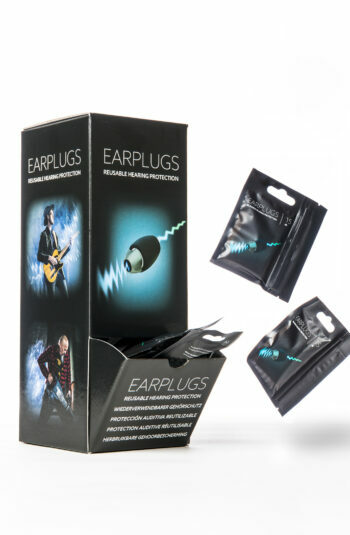 The DJ Ear Plugs contain the same acoustic filters that are used by many professional DJ's in custom earmoulds. 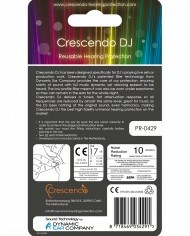 Crescendo DJ ear plugs have been designed specifically for DJ’s playing live sets or production work. 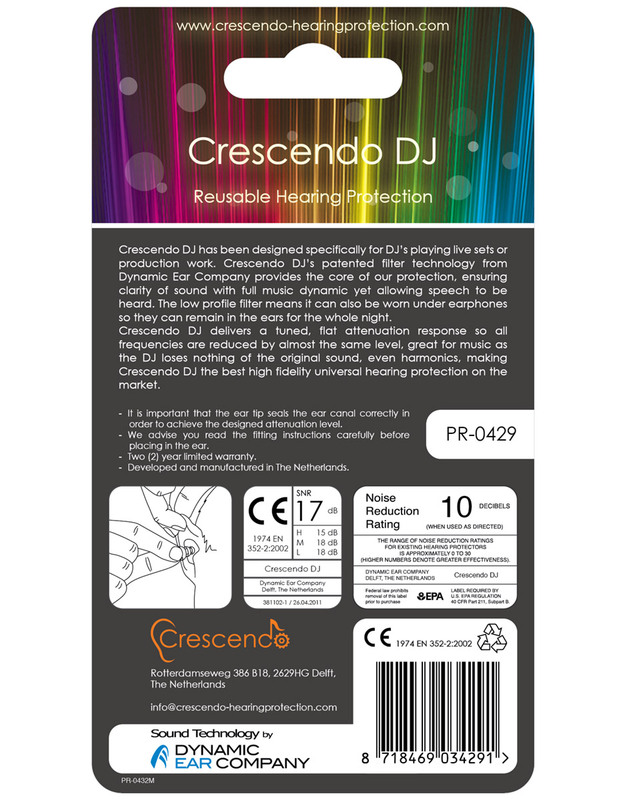 Crescendo DJ’s patented filter technology from Dynamic Ear Company provides the core of our protection, ensuring clarity of sound with full music dynamic yet allowing speech to be heard. 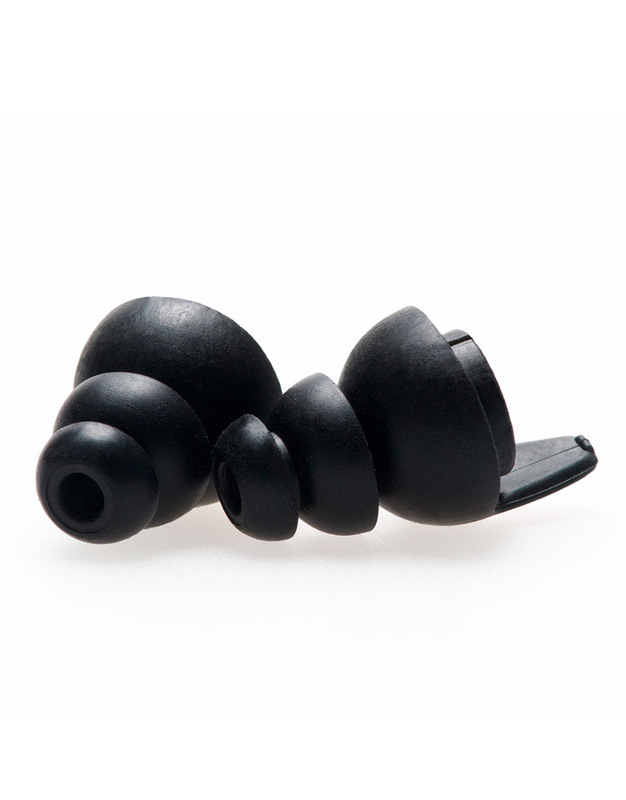 The low profile ear plugs can also be worn under earphones so they can remain in the ears for the whole night. 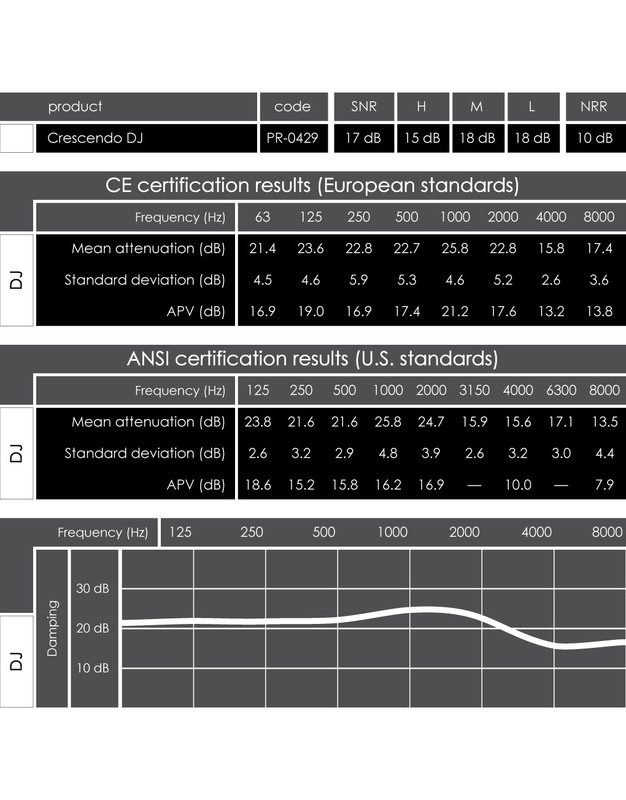 • Two flat attenuating acoustic filters providing 15 dB average damping which are 100% acoustically tested. 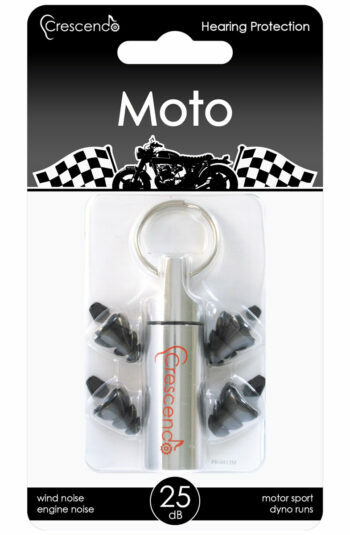 I have my DJ earplugs a week now, but I am very happy with the performance. 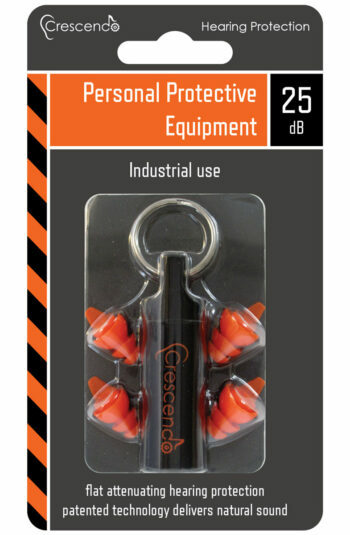 Yes they are more expensive than the previous sets of earplugs I have had (several brands, mostly €20) but the added performance is worth it. 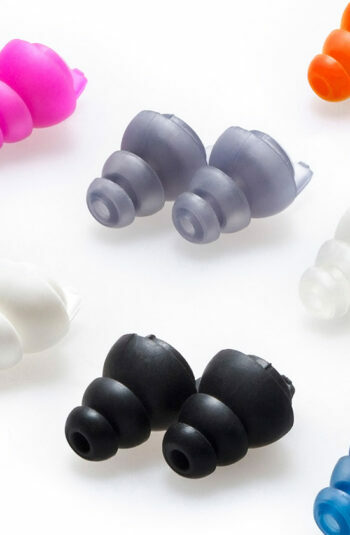 The distortion of the sound is significantly less than the others I have had, which makes it easier to understand conversations and I sometimes even forget that I’m wearing them. 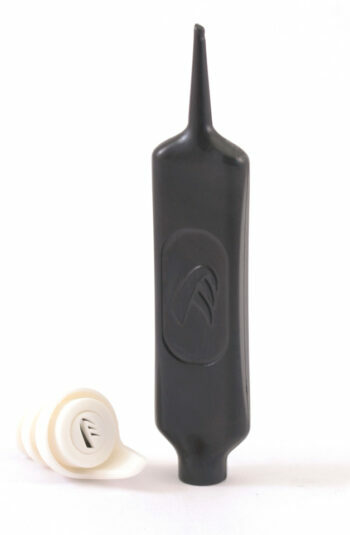 The plugs are very flexible and therefore comfortable to wear, but time will have to tell how durable they are. 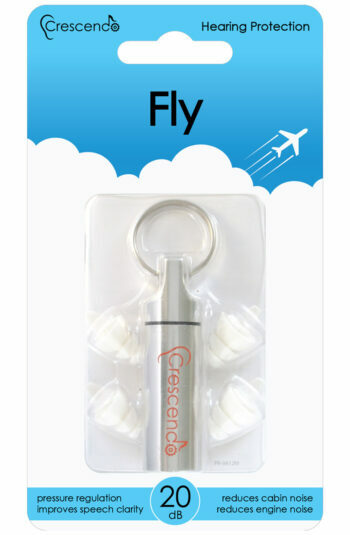 But so far I am satisfied with my purchase. 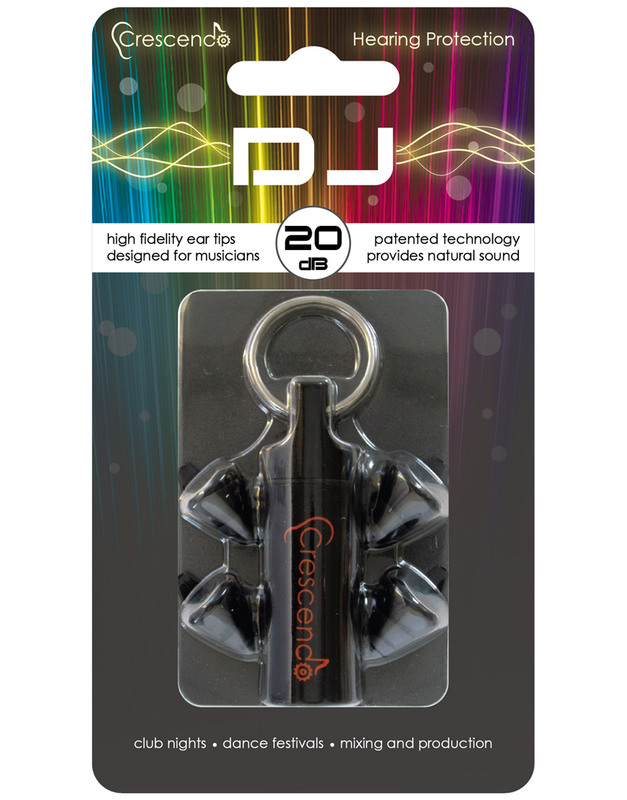 I purchased these DJ earplugs a few months ago and I’ve used them a couple of times since then. 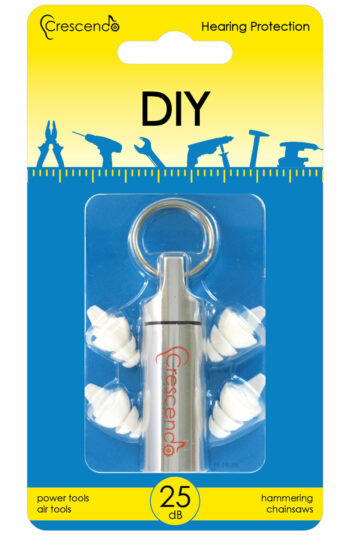 Before these I had some cheaper earplugs, and although they did fit well, the filter was terrible. 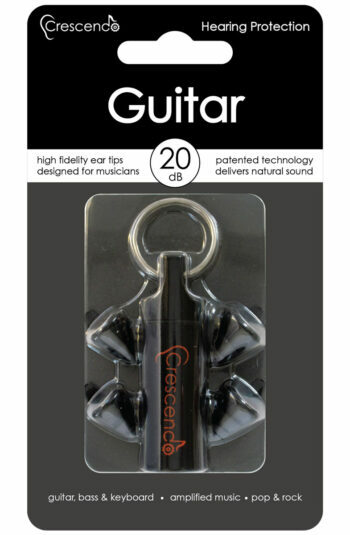 I couldn’t hear the music properly with them, so I ended up never using them. 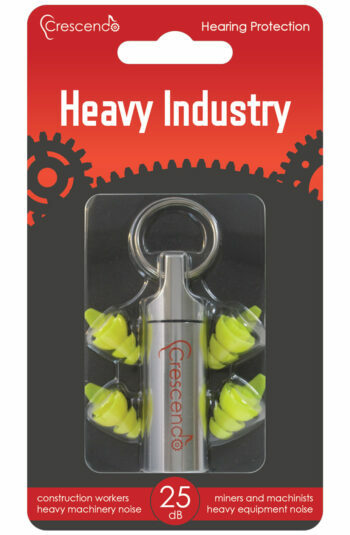 When this pair got delivered I immediately tried them on, and noticed that the large sized earplugs were a bit too small. 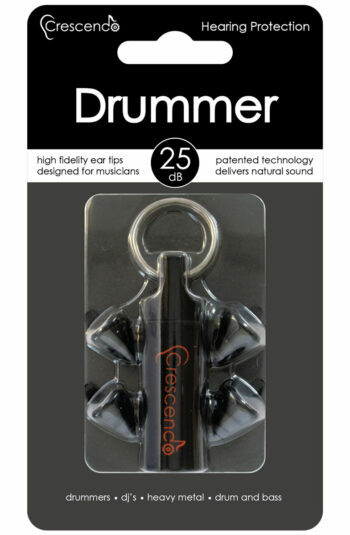 I emailed Crescendo and they send me a free pair of XL’s. Unfortunately the difference between the L and XL is pretty huge, so I had to stick with the L’s. Anyway, the filter is really amazing. 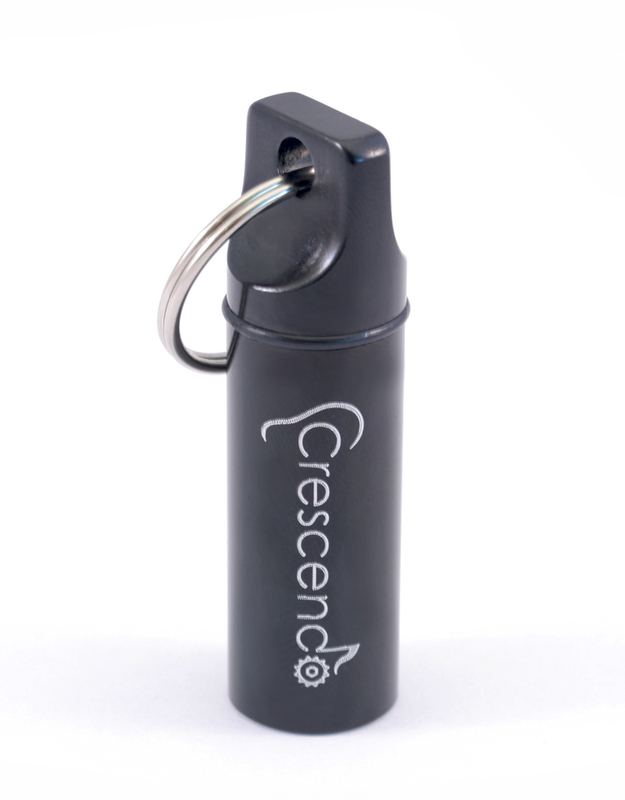 The music sounds great with these earplugs, so I use them to every party I go to. 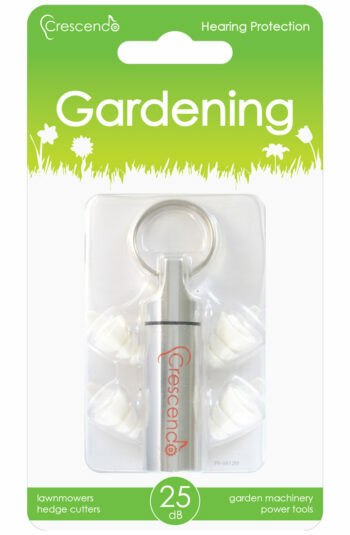 Only downside is that they’re a little too small, so I have to push them back in every once in a while. 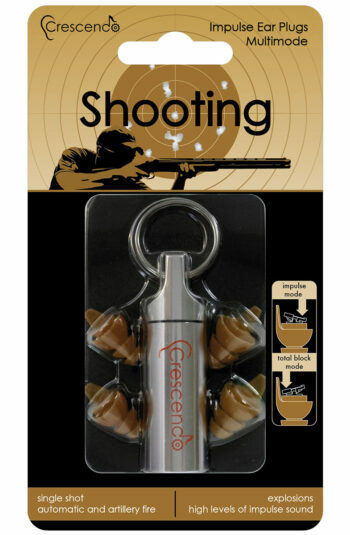 Overall I’m really happy with these earplugs and I would definitely recommend them to anyone who wants to protect their hearing but still wants to enjoy the music.